It was the little quirks of this place that truly made it stand out. For example, it is, to this day, the only hostel I've ever stayed at that gives you a free beer or other drink if you prefer every single day. And if you'd like another, it's less than $1/less than 1 euro. But if that's not amazing enough, there's even a hostel dog! Yes, among the guests resided a big, friendly dog, always there to give you a nice welcome. Still the only one I've come across so far. And the staff was super helpful too. Blake and I, for example, had a Wizz Air flight to Hungary from a different city called Targu Mures and never bothered to check how to get there from Brasov. Turns out, there is no direct bus or train... or pretty much anything. When we realized this, we thought we were royally screwed, but the woman at the front desk stepped into action and within minutes had a car ready to take us to our destination for a pretty inexpensive fare (despite a 3 hour drive). So yeah, this place was great. 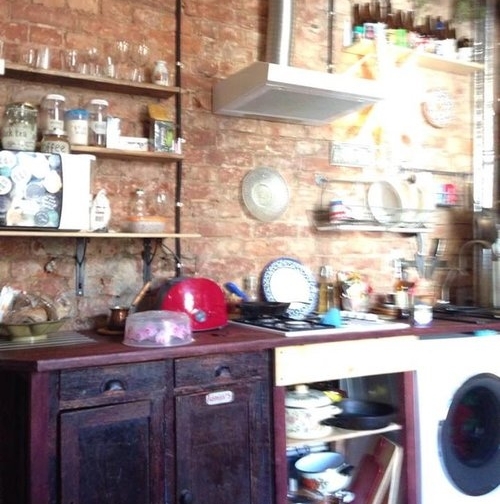 Normally, I prefer smaller hostels that let you get to know people on a personal level. In bigger hostel, people already seem to be in groups and refuse to branch out. Therefore, all the hostels I've included on this list are on the small side... except this one. Abbey Court is by far the most awesome big hostel I've ever stayed in, and even as a solo traveler, I had no trouble making friends and having great experiences. 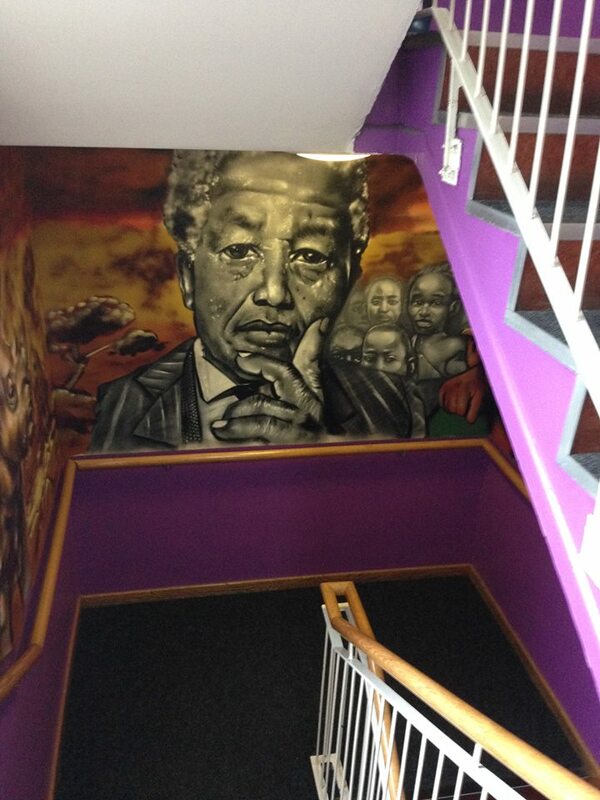 The walls are all painted in murals of historical figures ranging from Jim Morrison to Nelson Mandela while the common area had a huge kitchen that cranks out a free breakfast every morning. Alongside that, there's a bar with better prices than anything in the city and an area to relax and hang out on couches. Plus it's in the center of Dublin right along the river Liffey, so you can easily get to any place you want. Maybe it was just perfect timing, because at the time I arrived here, I had spent the past year surrounded my people and needed a little bit of a break. After about a 10 minute walk from the train station I came to the entrance of a quieter street not too far from the center of everything (so kind of balancing the best of both worlds). Inside, the place is calm and relaxing, but not in any way anti social. The rooms were clean and decorated with things related to the city and odd-yet-awesome artwork (like the door in the picture below). And on top of that, there was free breakfast every morning with coffee. But like most places on this list, the staff was what made everything really great. They were all (or at least all the members I encountered) nice, friendly, and incredibly helpful. I arrived without any set plans, and within my first hour I had more recommendations than my brain could process with regards of places to go, things to see, activities to do, and restaurants to eat. For me, this was the perfect place to come back and relax/crash after a long day (and sometimes night) of wandering the city. 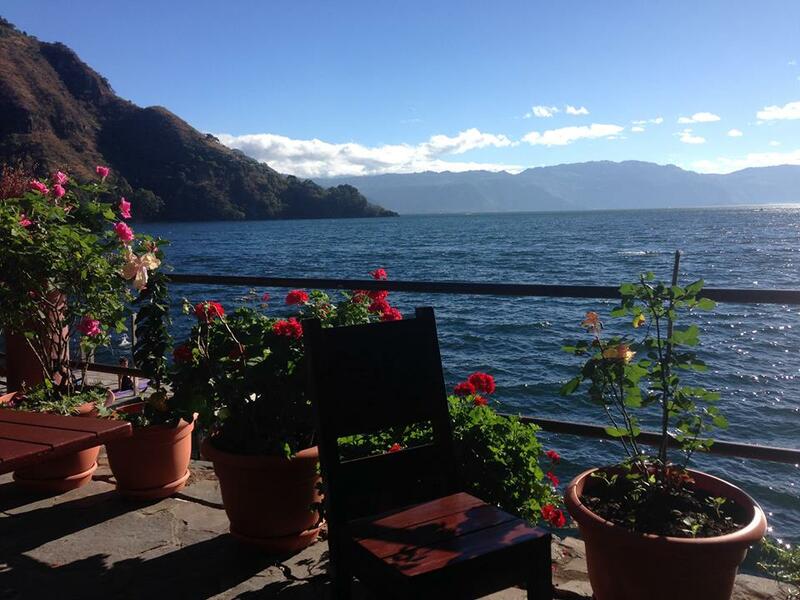 Located along the dirt road between Tzunana and San Marcos, this secluded place rests within tropical trees on the side of a steep hill overlooking Lake Atitlan. Everything there is made of wood and stone, and seems as if it was constructed by hand (I never checked to see if this was true, but I'll give them the benefit of the doubt). It's away enough from the towns for you to avoid the waves of white tourists with dreadlocks (who have invaded San Marcos is full force), thus allowing you to enjoy the natural beauty of the area and go for a swim in peace and quiet. On top of that, the facilities and staff are amazing. Everyone I met who worked there was super interesting and incredibly helpful with anything you could possibly need. Breakfast, lunch, dinner, and drinks can be ordered everyday from 8am-10pm, and the eating/bar area is set up right alongside the water (as seen above). During my stay, I had breakfast twice and dinner once, which, despite being more expensive than local spots in the town, were absolutely worth it. Everything was extremely fresh and served warm. I've never been in any place quite like this, both in terms of the hostel and the town. 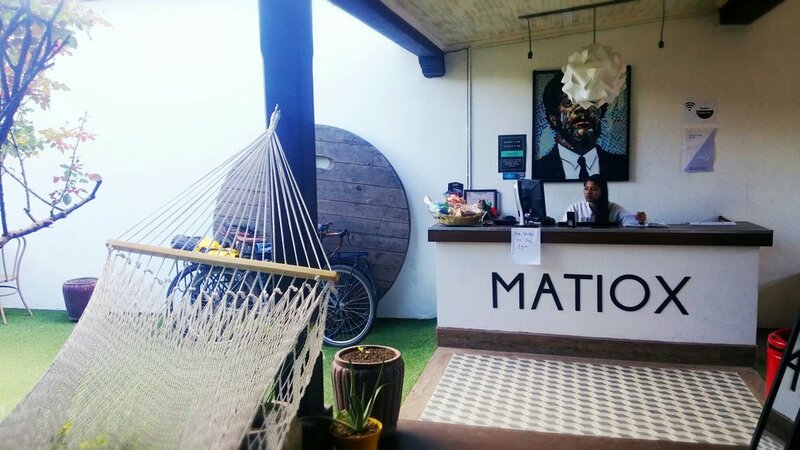 The hostel itself has a really great outdoor hang-out area where you can relax, order food and drinks and socialize with other guests, plus a fully equipped kitchen. But while that's all well and good, you actually get to sleep in yurts outside for dorms! Six people to a tent, breathing the fresh Kyrgyz mountain air (as seen above). Never before had I done anything quite like it, but now I'd absolutely do it again. However, the absolute best part of this place is the fact that it's surrounded by some of the tallest mountains in the world and wild, seemingly untamed nature in every direction. Just the feeling of waking up in the morning and stepping outside the yurt was almost surreal. It was as if I was in a new world, away from the noise and stress of civilization, where I would more likely see a sheep walk down the street than a car. And after two years of living in a big city, sleeping in the great outdoors and going back to nature was exactly what I needed. This is no ordinary hostel. There is no roof for the common area so the whole space gets lit up by the light of the sun or moon depending on the time of day. A tangerine tree (or clementine tree. I don't know the difference) stands, alongside a fountain, in the center of everything with actual fruit on the branches. 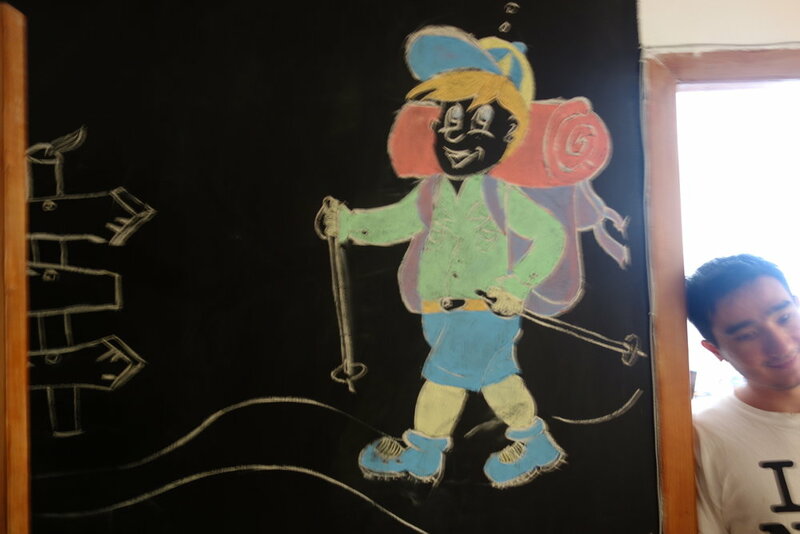 Couple that with a bar decorated in random drawings from guests over the years, a hot tub, and a really friendly staff and Matiox hostel is what you get. One thing that really makes this place great is the events Matiox regularly holds. From bar trivia (see story) to yoga to salsa dancing to other activities I can't remember at the moment, there's never any shortage of awesome things to do. Plus the hostel has a shuttle service that can take you right from the door to just about anywhere in Guatemala (including the airport), as well as locations in Mexico, Honduras, Belize, and El Salvador. 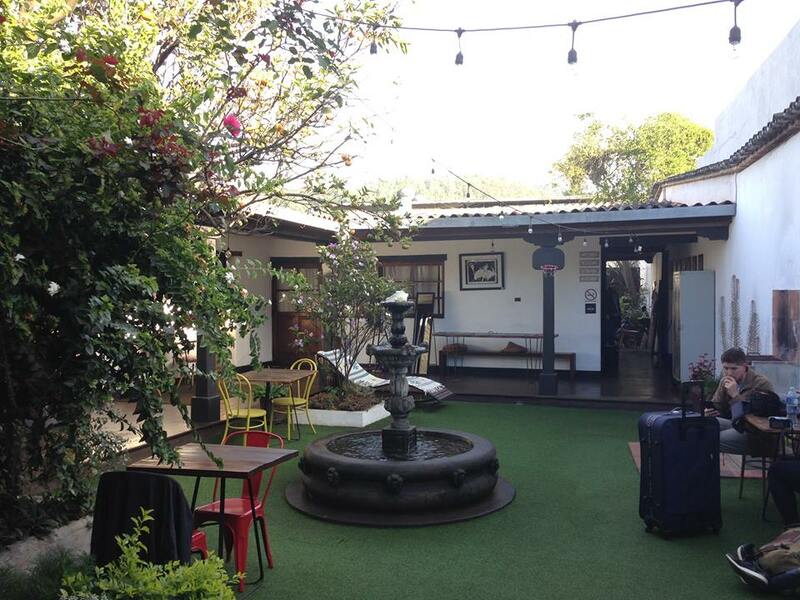 HOSTEL HIGHLIGHTS: Fun Events, Open-air Common Room, Great Staff, Hot Tub, Cool Bar, Super Convenient for Travel. During my last six months in Moscow, I bounced back and forth between two particularly incredible hostels, and Comrade is one of them. The place often advertises itself as being located in the best area of the city (heart of downtown right near Red Square), and while that part is great, it hardly does Comrade justice. The staff is absolutely amazing and can help with pretty much everything you can imagine. The place is a little more quiet and relaxed, with ample room for personal space, but still gets pretty lively ever once in a while, so you can still have a good social experience. A really cool thing about this place is that many local bands and musicians often stay here when they come to Moscow to play a show. Because of this, I unexpectedly got invited to many different shows which all turned out to be incredibly fun and exciting (including a band called Dobranotch - see Awesome Music Finds). The hostel which, as its name suggests ('dom' meaning 'home' is Russian) is very home-like with bedrooms, a living room, and a kitchen for all guests. On the wall, there were drawings and messages written by many of the guests who had stayed while couches lay here and there, all adding to the relaxed, comfortable feel of the place. Right away, it became clear to me that I had made the right choice. And then when I walked into the air-conditioned bed room, there was no longer any doubt. This place was awesome. When a place is described as a 'party hostel' you often think of loud groups of obnoxious, terrible19 year old dudes. This is not like that at all, but that said, the guys that run Freedom Hostel can easily take any party hostel under the table. And the great thing is that there's nothing in-your-face about it. The hostel is super chill, welcoming, and always up for enjoying the night (and quite frequently the day too). Tomek, the guy who runs it, is also the man. The staff speaks three languages (Polish, English and Russian) so they usually attract a diverse group of interesting guests. And they've made friends with a bunch of local places as well, so it really feels like you're part of the community when staying here.On top of that, the place is just a 5 minute walk from the Black Sea, meaning you can wander over and go swimming whenever you want. What more could you ask for? I debated internally for a while about giving this one the top spot, seeing as I stayed here on three separate occasions, made tons of friends, and even worked for a month at the front desk. Unfortunately though, the hostel is currently not open and may possibly reopen again in a new spot. Since this is uncertain and I have not yet seen this potential/hypothetical new spot, I have placed it here. Nonetheless, this hostel was absolutely amazing in every way imaginable. The staff quickly became friends of mine, including the hostel cat, George, who was always hanging around the common area. The free breakfast was massive and better than literally any I've ever had on the road, and there were drinks that could be purchased any time at a very reasonable price. But the thing that made this hostel truly great was the fact that it really felt like a family. Many of the guests stayed long term (several weeks/months at a time) and frequently someone would cook large dinners for everyone. We'd then all get together in the evening to feast and enjoy local wine. I ended up doing a lot of trips around Georgia with people I met here, and it really did start to feel like home. Since graduating college five years ago (at the time of this writing), Vagabond was my home for a longer period of time than any other place and I wouldn't have had it any other way. I am not sure how it happens, but somehow Vagabond always seems to attract the most amazing and interesting people through its doors. Maybe it's the staff. 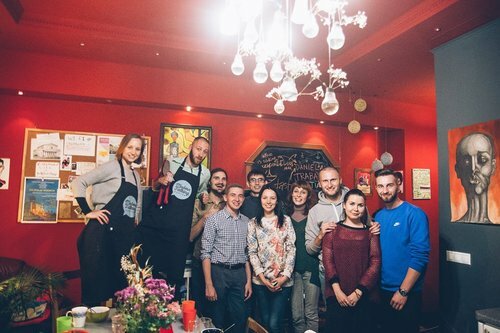 From Nikita to Robert to Roman to Zhenya, they've each got their own unique personalities that make Vagabond the welcoming place it is. Needless to say, this crew soon became my closest friends in the city. This haven for wanderers, artists, musicians, and locals looking to escape the hustle of the big city. Vagabond is always changing and improving it's already amazing vibe by bringing in weekly free concerts, daily free breakfasts, hostel dinners, and birthday celebrations if there happens to be one. And on top of all that, it was the creative environment at Vagabond that compelled me to start this blog in the first place. So, Vagabond will always have a close place to me.